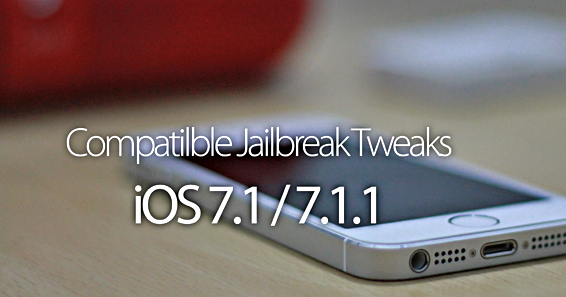 If you have recently Untethered Jailbreak iOS 7.1.2, iOS 7.1.1, iOS 7.1, iOS 7.1.x Firmware on iPhone 5S, iPhone 5C, iPhone 5, iPhone 4S, iPhone 4, iPod 5G Touch, iPad Air 5G, iPad 4G, iPad Mini, iPad Mini 2 Retina, iPad 3G and iPad 2G Using Pangu Jailbreak Tool, then you will be in search of Working and Compatible Cydia Jailbreak Tweaks and Apps for iOS 7.1.2 / iOS 7.1.x Firmwares. For Apple iOS users and readers like you, We have complied List of Compatible and Working iOS 7.1.2 / iOS 7.1.x Jailbreak Tweaks and Apps In Cydia via updated live spreadsheet report available below. The updated live excel spreadsheet document report is publicly accessible by users, and its personally shared by JailbreakQA moderator named 'iAdam1n', who have checked, test-out and listed number of working, somewhat working, not working, popular Cydia Jailbreak Tweaks and Apps Compatible and Working with iOS 7.1.2 / iOS 7.1.x Firmware. So if you want to know the current status of all Cydia Jailbreak Tweaks and Apps which have been currently tested and checked, So check-out Compatibility List of iOS 7.1.2 / iOS 7.1.x Jailbreak Tweaks and Apps for Cydia as attached below. Note: The above attached updated live excel spreadsheet document compatibility chart report can also be directly accessed from HERE, and it will be updated on daily basis as and when new compatible and working iOS 7.1.2 / iOS 7.1.x jailbreak tweaks and apps tested-out in Cydia. So don't forget to bookmark this webpage and make sure to visit on daily basis.